"We are blessed to have Caseys Place in Kaufman..."
Casey’s Place gave my girls the environment to grow in faith and friendships, discover themselves all while having the best time ever! Kids are engaged in numerous life activities that keep them active and growing! A place to have fun, get dirty, be safe and never want to leave! We are blessed to have Caseys Place in Kaufman and the staff have hearts of servants, to which we are so thankful for. "This is not just a summer camp, it's a home away from home." Casey’s place helped both children grow in confidence, allowing them to explore and conquer interests and fears.  Casey’s place was able to bond with both children immediately, caring for them in a way that made both parents, and children feel welcomed in the morning and not wanting to leave at home time. We certainly class Casey’s place as family, a special place our children enjoy making memories. This is not just summer camp, it’s a home away from home. "We saw a boost in our son's confidence...."
We we're praying for the perfect place for our 12 year old for the summer and a Casey's Place flyer came to my friends house and she forwarded it to us. It was an answer to prayer! Our son had a GREAT time at Casey's Place where he felt like he belonged from the 1st day. We saw a boost in his confidence and he was eager to tells us about all the fun things they did each day. The kids are well-fed and loved on in a caring environment. Thank you Casey's place prioritizing outdoor play time and hands on learning. "Within two weeks, our son was back to using proper manners..."
My husband and I were impressed with the summer camp at Casey's Place. After a long year at public school with a teacher who lacked structure and did not enforce manners and courtesy, we were at our wits end with our son's behavior. As the parents of a strong willed child, we understand the importance of discipline and consistency. Within two weeks, our son was back to using proper manners and treating those around him with more respect. We were happy to hear please, thank you, yes ma'am/sir, and no ma'am/sir again. Our son was kept engaged with outdoor activities such as fishing, hiking, swimming, gardening, and playing with animals. He also enjoyed the downtime with other children such as, watching movies, playing board games, and having birthday celebrations. He is definitely looking forward to coming back again.